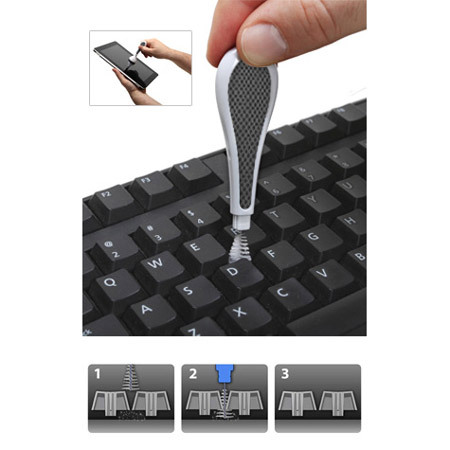 Patented brush removes lint and dirt from your keyboard. 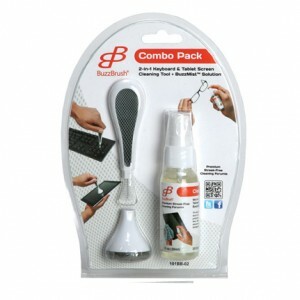 Microfiber base cleans your Smartphone, tablet, or any LCD screen. 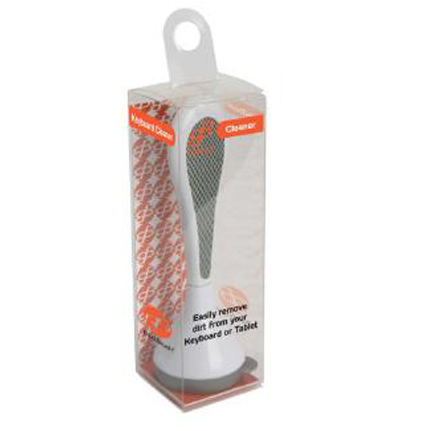 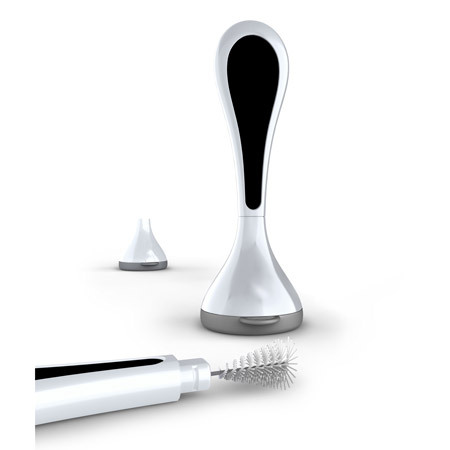 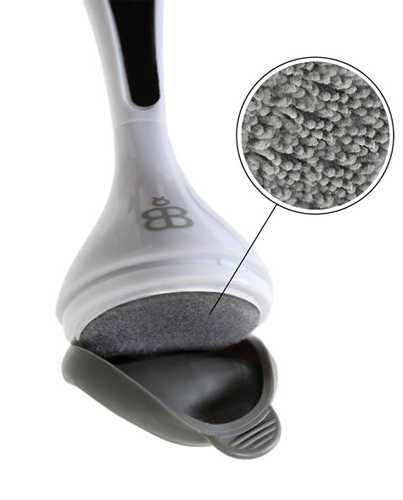 One BuzzBrush® included in clear museum box packaging.